Here’s another poster using Google’s Roboto typeface, quickly made to celebrate it becoming an open source project! 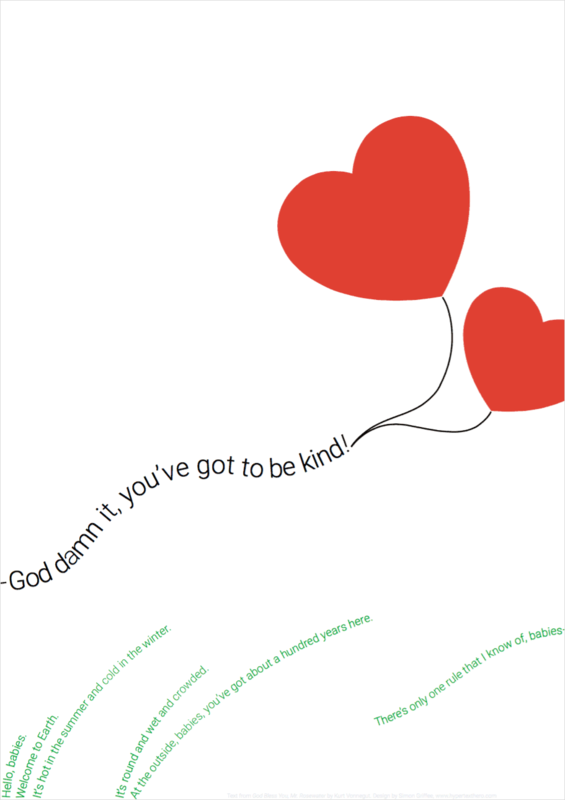 Text from God Bless You, Mr. Rosewater by Kurt Vonnegut. Exclamation point mine. Download an infinite resolution version for printing (36kb PDF). And here’s a free, open source web typography template using Roboto (demo), made especially for you, dear writers, readers.